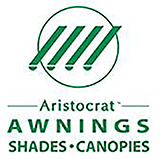 Since 1985, Caparro Awning Company has been installing the finest custom-made awnings. We are committed to the satisfaction of our customers and actively pursue the latest techniques and materials in the industry. Whether you are looking to cover a walkway for your business or protect your home from the sun, Caparro Awnings has a solution for you. Call us today for a free estimate!